Michael’s graduation is fast approaching and life is just VERY busy at the moment. But, I wanted to share some of my favorite April skincare favorites. Some of these are new to me products and others are items I just keep grabbing month after month. I changed up my skincare routine at the beginning of the month and there are some new products I am loving. 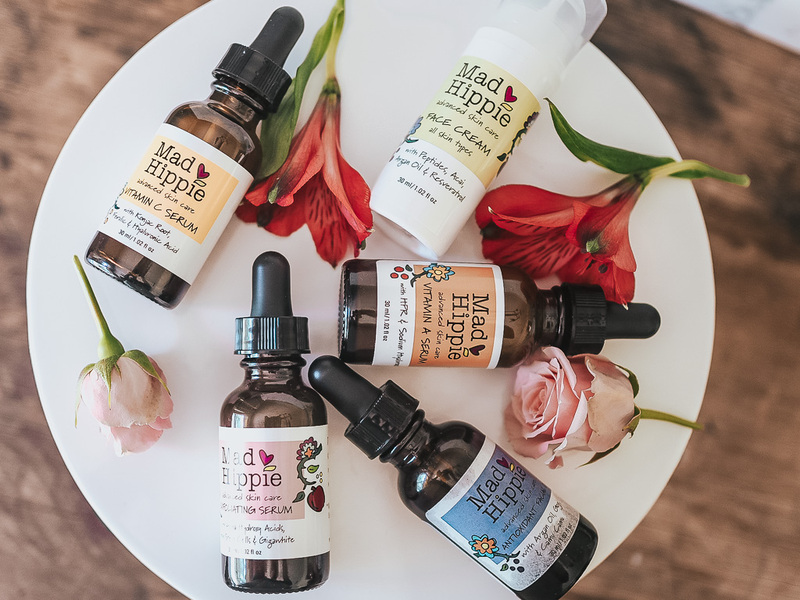 How do you feel about facial serums? I honestly love them! So here are some oldies and some new favorites I have been loving in April. First I use the Tula Cleanser and this is a cleanser is usually always make my way back to. It is very gentle, gets all of my makeup off and lasts FOREVER. I usually only use a dime size amount and that almost seems like too much. Next is the Pixi Glow tonic which is a ride or die of mine. Love love this toner and I have repurchased month after month. Next comes the serums and these serums are new tries for the month of April. 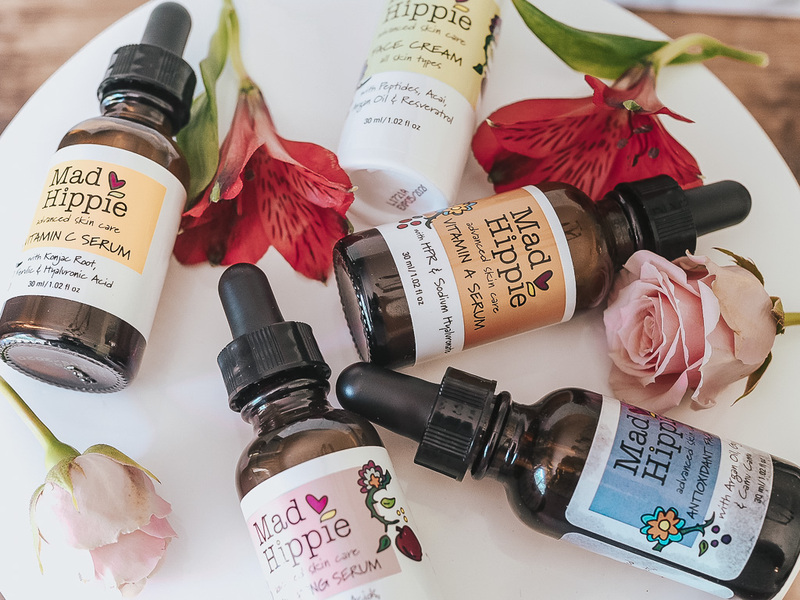 All of the Mad Hippie products were gifted to me and I wanted to use them for a complete month before reviewing them for you. So after toning I apply 4 drops of the Vitamin C serum. Y’all! This feels like a drink for my skin. It feels so good and just soaks right in. Then I apply the Vitamin A serum and the exfoliating serum. These are a little thicker so while that is drying and soaking into my skin I like to apply the Tula eye cream. I have been using this eye cream for about a year now and I definitely notice a difference when I stop using it. Love it! 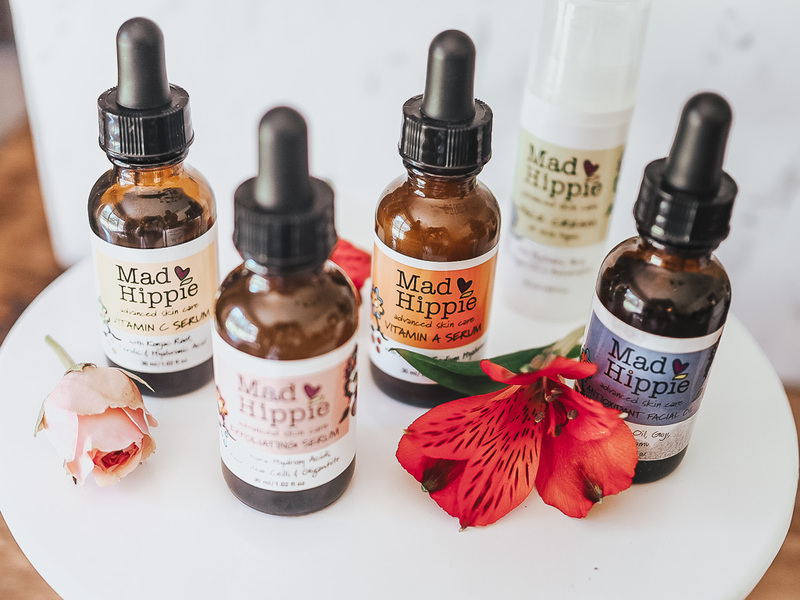 After my skin has soaked in all of that goodness I like to mix the Mad Hippie facial cream with the ScinCeuticals serum. Both help reduce to signs up wrinkles and mixed together they feel like a dream! A little goes a long way so no need to use a lot. I also wanted to include some of my favorite masks that I like to use a couple of times a week. The No7 Purifying heating mask is probably one of the first masks that instantly does what it says. I was shocked by how much this one actually heat up! Would definitely recommend trying out. Then, the No7 beautiful skin hydration mask is amazing when my skin is feeling extra dry. If you have any questions about any of these products in particular please don’t hesitate to ask! I will be posting about my favorite makeup finds soon as well so be sure to subscribe and follow along on my Instagram! Yay!! You will love them! Let me know what you think! !